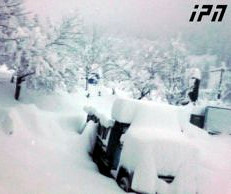 TBILISI, DFWatch–Georgia was hit by a spell of bad weather Saturday night, with hailstorm, strong rain and high winds. 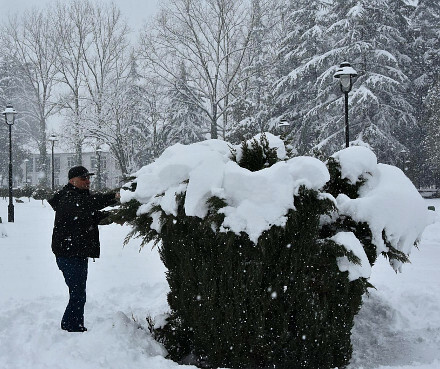 The hailstorm in Akhaltsikhe, in the south, lasted for almost one hour. In several villages, crops were destroyed and houses damaged. Locals there said it is the third time this year their villages have been damaged by hailstorm and this last one wiped out what harvest was left after the previous times. Manana Mumladze on Sunday told the public broadcaster’s news program Moambe that she now doesn’t have any vegetables or grapes left, and her house was also damaged. Strong wind caused damage in Ozurgeti, in the southwest of Georgia. Giant trees overturned, and a gas pipeline was damaged. The roof of houses and apartments were also damaged. There was also damage to electricity transmission poles, causing a blackout in the village Laituri. 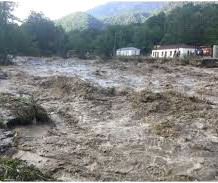 Local authorities sent clean-up crews to remove mud and trees from the roads and are now calculating the cost of the damage in order to compensate affected families. 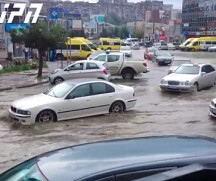 Rustavi, a town 20km south of the capital, was flooded on Saturday night. 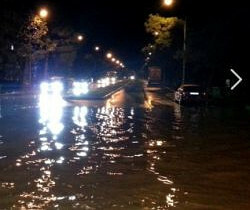 Meskhishvili Street and Leonidze Street were flooded. Some drivers were making their way through the streets, their cars half-submerged in water. At night, drainage wells were cleaned to help get rid of the water. 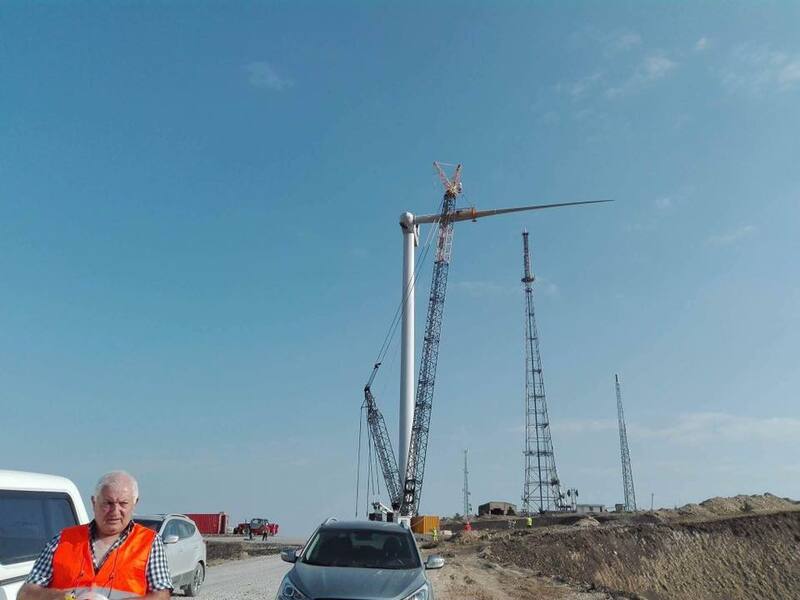 An electricity substation in Rustavi was damaged as a result of the rain.